I competed once again in Ludum Dare, and made the game 5 DAYS. The theme is “alone”. Here are some thoughts post-mortem. Creating graphical assets is a time-consuming task, so I immediately dropped it and only concentrated on stuff I could efficiently produce. The current style is a nice trade-off between detail and costs. I started this thing from the ground up on tiles, which allowed me to make changes and updates right till the end. Having everything based on clean tiles also meant I could easily add objects, like the lamps, which effortlessly clamped into the architecture. I love the intro. This is the closest I have ever come to a cut-scene, and even now it’s pure gameplay, not a video. 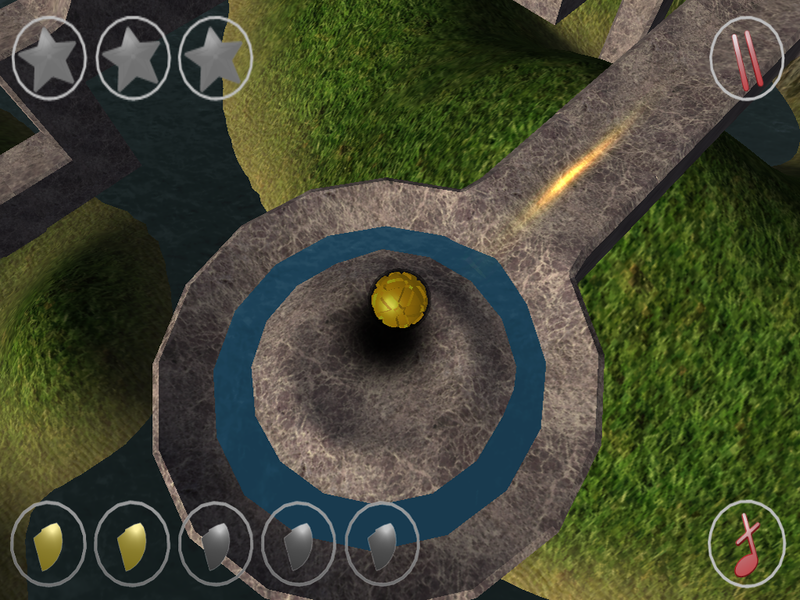 The original idea had everyone dying in a scripted explosion, while the player could do nothing (but walk around). Having the player actually kill the reamaining crew (be it by accident, admittedly), would only further compel her to save the cat. Your only companion is a cubic cat (no time to model, as mentioned above), which is aptly named Boxy. You have to feed for it to survive, but doing so will deplete your own ressources. The game starts with a cold open right in the action. The title is only seen after the first room, and then perfectly sets up the story. My original title was ALONE. After the player would have watched his friends die / kill them, she would be ALONE. But because the name would probably be overused, I changed it to 11 DAYS. Eleven turned out to be too long, so I shortened it to 5. I love how the title 5 DAYS becomes a chapter-card, turning into 4 DAYS, and so on. I contemplated putting the title at the end (Hot Fuzz/The Dark Knight-style), but only few people would see it then. I guess this doesn’t work in games. The only downside of this title is that I already made a game called 5 Days in Charleroi. I was already trying furiously too get the gameplay to work, so this didn’t even occur to me :-). Oh well. The video went alright. If you comapre it to my previous ones, you’ll notice I frown a lot in this one. Instead of composing my own background-music I was forced to try out Wolframtunes, where I found some interesting ambient-tunes. I was able to reverse-engineer those, and created a fitting soundloop in comparatively little time. Also notice how the sounds picks up after the title, further signalling that the game has “begun”. Nice effect. This was actually my first idea, but I classified it as “way too ambitious”. I had some others, but none of them impressed me as “stuck with a cat on mars”. So I begrudginly started, planning to either switch to a new project a few hours in, or use what I would have built in that time to make a smaller version. I had a crisis after 8 hours, when I decided this was too big, and tried out other ideas. „Lone asteroid in space“ I actually started, when I realized switching to that would be even more work. It was quite a dilemma. I (not crying, completely manly) went back with further resolve to finish this project (in a manly way), and soldiered on. After 32 hours everything then came together and started working, which lifted my spirits, and caused the classic game-design-high. Then there is the thing that re-playing it offers little incentive, as the gameplay already was rather un-action-y, expecially should the player die. Even a nightly checkpoint wouldn’t have worked, as resetting the player each death would reail-road them to the „desired“ ending, which is strictly against my principles. These things stem from the initial idea, and show how much I tried to fix this issue but ultimately failed (see timelapse). Here’s an important thing: We are a lot better at playing games than the average player, especially at playing our own games. It didn’t even occur to me add some sort of crosshair/targeting-thingie, as my aim was always spot on. This stuff you only realize after one day not playing it. Although this had a very bumpy ride, I believe it was a succesful experiment. Those who actually manage to get through to the end all agree, calling it „amazing“, „brilliant“, and me a „meany“. On Kongregate this is already my second most-played game, Ludum-Dare-ratings are doing well, and I even got a review. I’m a studio now. A nuclear studio. 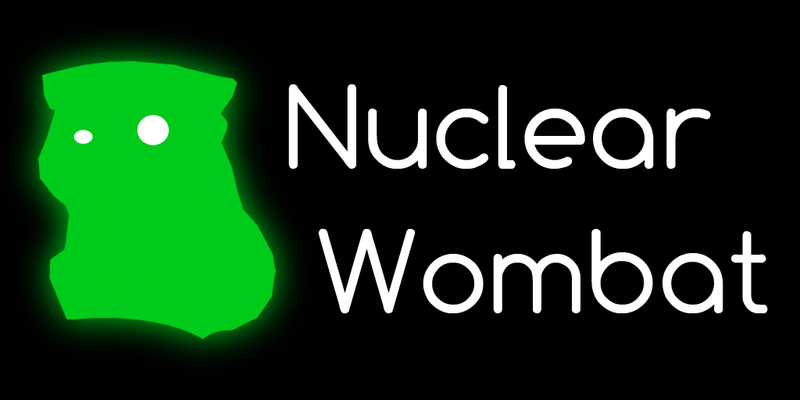 www.nuclearwombat.eu, the website of my one-man-studio, has just gone online. I will publish my major titles under this title from now on. Right now that’s Unstoppaball DX, but more will come soon. Go pay it a visit for your primary Nuclear-Wombat-needs. It has just been approved to the AppStore, and it now available for you convenience. Also, this means I’m a published Iphone-Developer now. Nice. During the last Ludum Dare 600 games were developed. The one before it was 380 games. And after witnessing the same “setup-choices” over and over again I decided ato write this assortment of DOs and DON’Ts, which will hopefully make your game more appealing to other players and judges. These things are important. The games who are easy to start and play get more votes, plays, word-of mouth and ultimately publicity. If a game is a puzzle in itself to start, we will have to move on, so that we at least may sample more of the (probably) 600+ games available. DO make a webbuild. If that isn’t possible, a windows-standalone is fine. Mac + Linux-versions are a nice bonus, but shouldn’t be the only versions available. While mobile-versions (iOS, android, windows-phone) are nice too, installing them is (compared to the others) a hassle and only few people have the devices and/or know how to install custom apps. DON’T require extensive framework-tools to start your game. XNA is acceptable, as many people already have it and many games are made with it. I guess JAVA is too. The same goes for “only in browser X”-games, which require me to download/install/start an unknown program. Many people will also pass over your game if it requires and installer, or a registry-update. DO call the executable of your game something other than “LD22.exe” or “the_theme.exe”. After a while I have 20 of these on my desktop, which makes it difficult to locate a file, should I want to play again, or give a better rating. “kitten_simulator_2” will do. DON’T hide the executable of your standalone in the_game/the_game_unzipped/binaries/system/system64/exe/1182772/localized/the_game.exe. The longer it takes to slog through your files, the higher the chance of me rage-quitting gets. DO use an easy-to-access download-service. Dropbox is fine. Please no “wait 60 seconds, then enter undecifferable captcha, then close 3 pop-ups with forced audio”-hosting-sites. DON’T keep me from playing the game once I started it. Hampering the start-up with more than one tutorial-screens or lengthy videos/credits is tiresome (you’re making a /game/, not a movie or a book). DO actually end the executable when quitting. I have encountered several games which don’t “unplug” after quitting them, and still show up in the task-manager where they slow down my system. DON’T require players to read instructions or a manual outside the game to understand it. Put vital instructions right inside it. NOBODY reads readme-files, unless of course they’re called something like “WHY WOULD YOU READ THIS ANYWAY”, which might peak my interest. DO have international-keyboard-layouts in mind. German and French keyboards have different key-locations, and when the keys don’t react people have to find find the replacement-key, and distort their fingers. Or alternatively mess around with keyboard-layouts. Following keys are taboo (on qwerty-layout): Y Q Z. These are the major swapped ones internationally and the most used ones in games. EVERY symbol (% & * + – > | § # ?) has a different international location. Stay away from them. Games which have their controls on Y+X <- bad. Move them one key to the right on X+C however, and you just made your players from two major language-zones happy. DON’T use the caps-lock-key in your game. Refrain from using the shift-key, as hammering it will cause a popup in windows. Everything around the landmine that is the windows-key should also be approached carefully. DO play other games and give a vote. And don’t restrict yourself to the popular ones. DON’T make the kitty sad. So the amazing Zayne Black put together the 99%-Bunlde, featuring 13 diverse and interesting Indie-games. Unstoppaball is one of them. The guys over at Indiegamemag have a good write-up of how this came together. Go read. 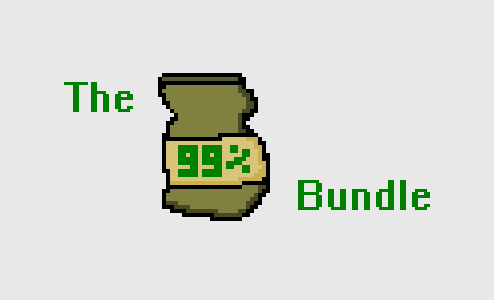 The website of the bundle is 99bundle.com, and it can be downloaded for free/pay-what-you-want over at Indievania. Now to set up a new website.